My name is Lewis Fusco and I am the Founder & Managing Partner at Fusco Law Group. I became a trial lawyer to fight for the Constitutional Rights that our nation were founded on. When I first started Fusco Law, I focused exclusively on criminal defense. My reputation as an aggressive defense strategist grew in Jacksonville and the surrounding area. My clients knew that we weren’t afraid to take their case to trial and fight for their rights. Over the past five years, the trust I built with my clients brought new opportunities. Former clients contacted me daily seeking advice on legal issues not related to criminal law. That’s why we expanded to other areas of law and formed Fusco Law Group as a way to ensure our clients have the best possible representation no matter what issue in life they’re facing. We brought on experienced attorneys who focus exclusively on their area of practice. The benefits to our clients were immediate and immense. Frequently, criminal law triggered family law issues or even civil lawsuit. Quite simply, we can keep most of our client’s legal needs in house. When it comes to legal matters, consider us your family. We’re here to take care of you, protect your rights and make sure you have the very best legal representation. In 2009, Lewis received a Bachelor degree in Business Management from Florida State University. He attended Law School at FL Coastal in Jacksonville FL. While in law school Lewis worked for the Public Defender’s Office assisting with the investigations dept. He also worked for 4 years with Musca Law focusing exclusively on criminal defense. As a trial attorney, he takes pride in fighting for his clients and will exhaust all options to achieve the best possible outcome! Lewis realizes that having to deal with the criminal justice system is an intimidating process. 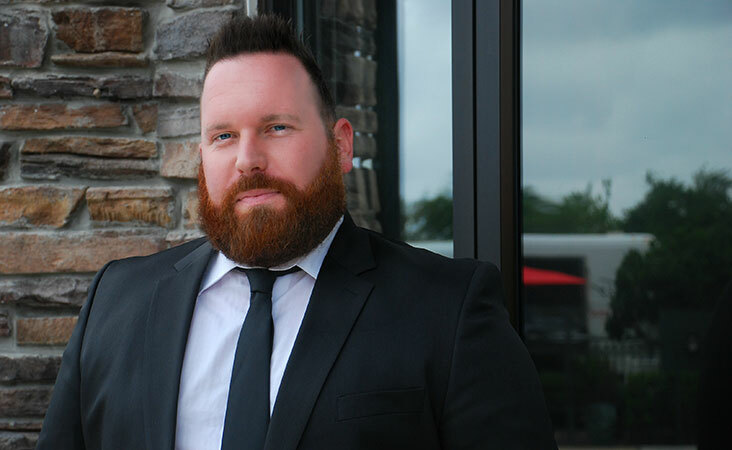 He’s passionate about assisting others during difficult times, advocating for his clients, and always strives to make a positive impact in the lives of his clients. While Lewis made his home here in Northeast Florida, you’ll find him defending criminal cases throughout the area — Duval, St. Johns, Clay, Nassau, Putnam, Baker, Flagler, Hamilton, Volusia and Columbia counties. Stacey DeVall, Esquire is an Attorney with Fusco Law Group of Jacksonville, Florida. Additionally, Stacey has established herself as Owner and Attorney of The DeVall, P.A. in Jacksonville, Florida. Although Stacey focuses primarily on family law, she also takes domestic violence cases, dependency cases, and can assist clients in pre-marital contracts. Most of our family law clients are located in Jacksonville, Florida, but some cases are as far as Miami, Tampa, and Sarasota. Stacey is not a native of Jacksonville, Florida but relocated here about a decade ago and has set permanent roots here in our amazing city. Stacey has been in practice for almost five years. 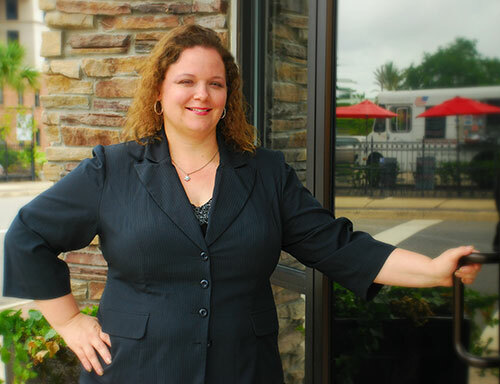 She has handled a variety of family law cases, mediations, hearings, and trials. Stacey is a member of the Florida Bar, Jacksonville Bar Association, and the Family Law Inn of Court. Stacey has been a foster parent, a guardian ad litem volunteer, and has been appointed as an attorney ad litem in dependency cases. Stacey is also on the board of Jacksonville non-profit assisting those who struggle with alcohol addiction. Stacey attended law school at Florida Coastal School of Law and graduated in 2012. Prior to that she attended and graduated from the University of Mary Washington. R.J. joined Fusco Law Group in 2017 and focuses primarily on family law. He is responsible for legal research, drafting, and strategic case management to further move cases along expeditiously and economically. 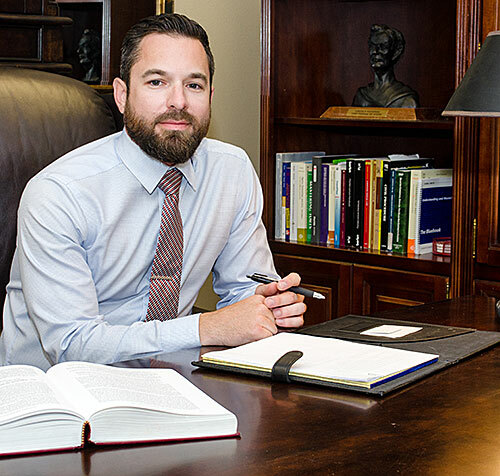 R.J. leverages his experience in family law by pursuing opportunities within the realms of criminal law and general practice by assisting all attorneys in the firm. 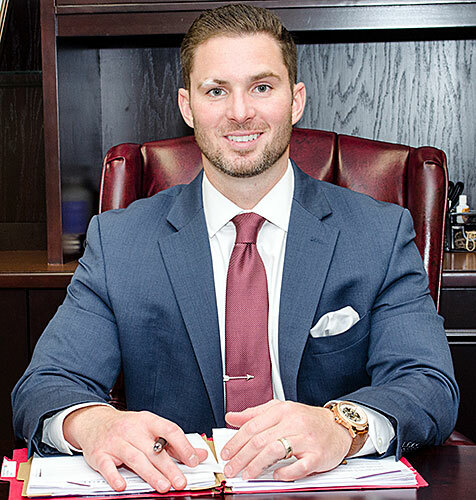 Prior to joining Fusco Law, R.J. worked at a high-volume family law firm in Jacksonville. In this role, he focused on family and appellate practice. He holds a Bachelor of Arts from the University of Central Florida and a Juris Doctorate from Florida Coastal School of Law with a concentration in Entertainment Law and Intellectual Property. Derek Maines was born in Hollywood, FL in 1985 and moved shortly thereafter to Ocala, FL with his family where he was raised. Much of his youth revolved around sports, fishing, and academics. Upon his graduation from Belleview High School, Derek received a full athletic/academic scholarship to play baseball at Pensacola Junior College in Pensacola, FL. Derek then went on to study at The Florida State University from 2005 to 2007, where he received a Bachelor of Science degree while also becoming a member of the Pre-Law Society as well as the Pi Kappa Alpha fraternity. He then decided to pursue legal studies and chose to remain in his native Florida to study at the Florida Coastal Law School in Jacksonville. During his three years of law school, Derek was a member of the Sports Law Society and part of the school’s mentoring program. While attending law school, Derek took full advantage of the opportunity to intern for the public defender’s office as well as the Ladies Professional Golf Association prior to graduating with his J.D. in 2011. 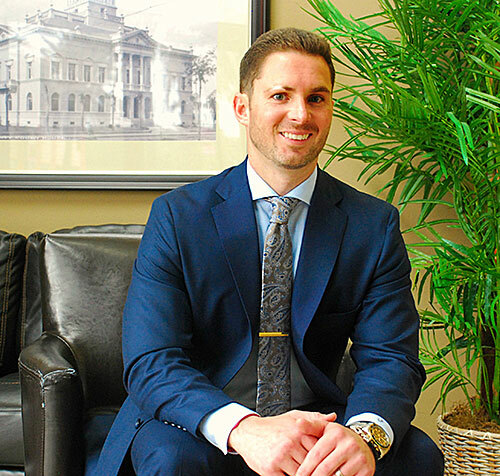 Since graduating from law school Derek has worked closely with the Office of the Public Defender in the Fourth Judicial Circuit of Florida, offering legal assistance for indigent persons. Derek then went on to become an associate in a small law firm in Jacksonville where he gained valuable skills and experience in criminal defense and civil litigation including family law, personal injury, landlord/tenant issues and immigration. In early 2017 Derek decided to further his legal career by opening his own general practice and established “D. Maines Law, PLLC “. 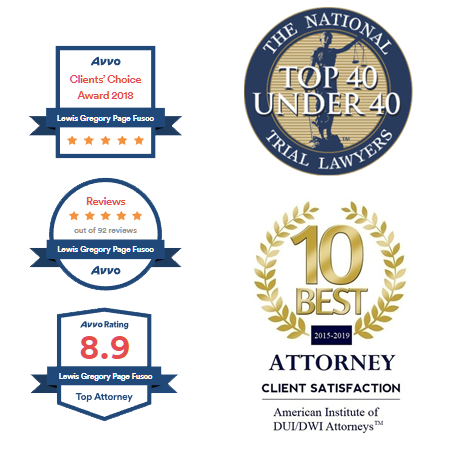 Aside from his private practice, Derek remains heavily involved with helping the less fortunate by continuing to represent indigent clients through the Jacksonville Area Legal Aid (JALA) as a small way to give back to the community. Derek has also joined the Fusco Law Group in an “of counsel” capacity to assist and lend his expertise to one of North Florida’s most prominent up and coming firms. Teaming up with the Fusco Law Group will allow Derek to expand his role as a litigator and serve as an additional legal resource for the group’s clientele. Away from the office Derek is a dedicated musician and an avid fisherman and can usually be found either on a stage in Jacksonville or the St. John’s River. He also attends every Seminoles football game he can. Above all, Derek enjoys spending time with friends and family. Now that you know a bit about us, let’s talk! Tell us about your situation.